In this compelling book, neurologist Adam Zeman tells the stories of patients with a variety of neurological disorders, some familiar (epilepsy, chronic fatigue, stroke, memory loss) and others relatively mysterious (narcolepsy, chronic deja vu, compulsive fidgeting, Creutzfeldt-Jakob disease). Chapter by chapter, the author reveals the various levels of the brain, from the atom to the mind, and explores what happens when workings at each level go awry. Zeman requires of his readers no special knowledge of medicine or science, yet he takes us to the very frontiers of current scientific knowledge and elucidates the workings of the brain in astonishing detail. 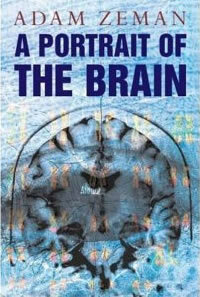 The book weaves together fascinating case histories, clear accounts of concepts and discoveries in neuroscience, and an intimate view of the suspense, excitement, fun, and angst that colour a neurologist’s days. Zeman also considers what the brain’s behaviour and misbehaviour can tell us about the human self as physical system, living creature, and conscious mind. In a final chapter he reflects on the place of the mind in nature. On every page Zeman both entertains and informs, and readers will find themselves pondering the enigmas of brain and mind long after closing the covers of this thought-provoking volume. (UK customers) or +44 1243 843294 (overseas customers). Fast, simple and secure ordering! You can order books online at www.wiley.com or please call customer services on 0800 243407 (UK customers) or +44 1243 843294 (overseas customers). Fast, simple and secure ordering! You can order books online at www.wiley.com or call customer services on 0800 243407 (UK customers) or +44 1243 843294 (overseas customers). Conversion is very common but often misdiagnosed; even when diagnosed, treatment is difficult. It is critical for physicians to have the necessary knowledge to manage these patients in the most effective way. This volume gives all of the available, up-to-date information on when to think about conversion in movement disorders, how to make a diagnosis, how to use the laboratory to support a clinical diagnosis and how to develop a therapeutic plan. 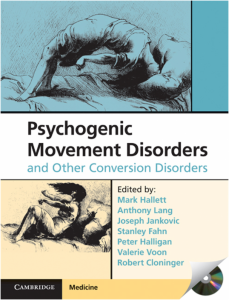 Written by experts in neurology, psychiatry, psychology, neuroimaging, neurophysiology and genetics, this book covers psychogenic movement disorders and other conversion disorders from all of the most relevant clinical angles. An accompanying CD-ROM with a video library featuring over 100 real-life examples of movement disorders will aid diagnosis. Neurologists and psychiatrists, as well as others interested in brain pathophysiology at the boundary of neurology and psychiatry, will find this a useful aid to both clinical practice and research. Schizophrenia is one of the most complex and disabling diseases to affect mankind. Relatively little is known about its nature and its origins, and available treatments are inadequate for most patients. As a result, there are inevitable controversies about what causes it, how to diagnose it, and how best to treat it. However, in the past decade, there has been an explosion of new research, with dramatic discoveries involving genetic aetiology and epidemiological risk factors. There has also been a catalogue of new drugs coming to market, and controversy about the relative advantages and disadvantages of newer compared with older therapies. In addition, developing technologies in genomics, molecular biology and neuroimaging provide streams of new information. 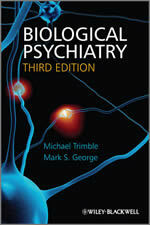 This book represents a definitive, essential, and up-to-date reference text on schizophrenia. It extensively and critically digests and clarifies recent advances and places them within a clinical context. 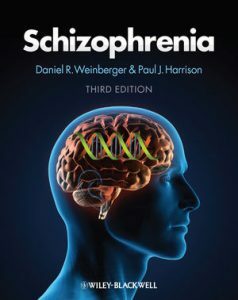 The Editors (one American and one British), highly respected clinical psychiatrists and researchers and acknowledged experts on schizophrenia, have again assembled an outstanding group of contributors from the USA, UK, Europe and Australia, It will be of value to practising psychiatrists and to trainees, as well as to clinical and neuroscience researchers interested in keeping up with this field or coming into it. The book consists of four sections: descriptive aspects, biological aspects, physical treatments, and psychological and social aspects. It reviews the theoretical controversies over symptomatology, classification and aetiology (particularly pertinent as DSM-V is being developed), the relationship of schizophrenia to the other psychoses, the significance of positive and negative symptoms and pre-morbid personality. It describes a variety of approaches to integrating the vast research data about schizophrenia, including neurodevelopmental, genetic, pharmacological, brain imaging and psychological findings. The biological treatment section reviews the comparative efficacy of various drugs, the management of drug-resistant patients and both neurological and metabolic complications. The final section looks at psychological therapies, social outcomes, and the economics of schizophrenia. Research into the neuropsychiatry of epilepsy has become a central focus of interest in the last five years. Comorbidity of epilepsy with behavioral problems is now recognized widely, and the neuroscientific basis for such comorbidity is an active area of investigation. With an expanded international team of authors, this fully revised new edition builds on the strengths of its predecessor, examining in detail the subtleties of behavioral changes in patients with seizure disorders and offering both a diagnostic and a management perspective. 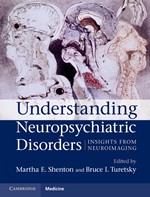 New chapters cover genetic disorders, the effects of epilepsy on social behavior as viewed through theory of mind, a discussion of the precuneus, the importance and nature of peri-ictal psychiatric symptoms, depression and the interictal dysphoric disorder, and the relationship between antiepileptic drugs and suicide. 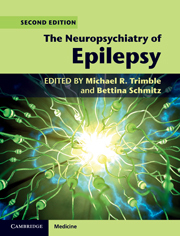 This new edition is a must for anyone involved in diagnosing or managing epilepsy. 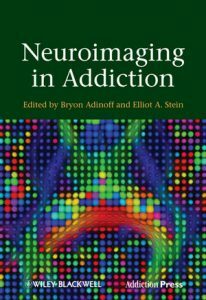 An informative and comprehensive review from the leading researchers in the field, this book provides a complete one-stop guide to neuroimaging techniques and their application to a wide range of neuropsychiatric disorders. For each disorder or group of disorders, separate chapters review the most up-to-date findings from structural imaging, functional imaging and/or molecular imaging. Each section ends with an overview from a internationally-renowned luminary in the field, addressing the question of ‘What do we know and where are we going?’ Richly illustrated throughout, each chapter includes a ‘summary box’, providing readers with explicit take-home messages. 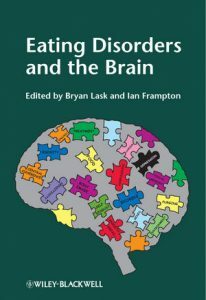 This is an essential resource for clinicians, researchers and trainees who want to learn how neuroimaging tools lead to new discoveries about brain and behaviour associations in neuropsychiatric disorders.